We are the Polished Concrete Floor professionals for Brisbane/Gold Coast and Sunshine Coast areas as well as all over Queensland and northern NSW. More and more home owners, retailers and commercial enterprises are turning to polished concrete flooring to solve their flooring issues. We offer a broad range of services to our residential, commercial and industrial clients. We are available to work on new or existing concrete floors, indoor or outdoor areas. There is no polished concrete job in Brisbane or the Gold Coast that is too big or too small for us. Focused on providing a complete flooring solution for your site or home, our team has the experience and attention to detail to achieve your vision. With over 20 years of installation and finishing experience, our skills have been fine-tuned ensuring you get quality finish every time. Awesome Timber Floors specialise in the supply, installation and polishing of timber flooring on both residential and commercial projects. We have been operating around Brisbane, Logan, the Gold Coast, Ipswich, Redlands and the Sunshine Coast areas since 1999. We use qualified tradesmen on all our jobs and pride ourselves on a high level of both customer service and workmanship. We have a had the opportunity to work on many highly recognisable commercial projects such as Waterfront Precinct stages 1 & 2, Marriott Hotel Gold Coast, and many more. 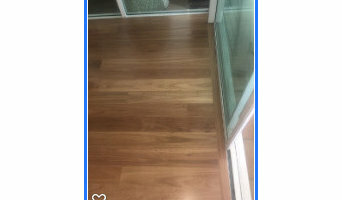 We, not only supply, install and polish new timber floors, we also sand and polish existing timber floors and decks. Get a quote from our friendly team now! 12345 Awesome Timber Floors offers an extensive array of sanding and polishing services for your timber floors. Are you about to sell your home? Or just want to get it looking its best? We have got the skills and know-how for you! No job is too big or small, and we also service commercial businesses, halls, warehouses, decks, sports stadiums or anywhere else you might find a timber floor. It is often said a timber floor is only as good as its polish, so the right technique, equipment and products are important to ensure your floor looks its best. We use only the absolute best sanding and polishing equipment products to ensure a professional and lasting finish, every time. We have a variety of different finishes, including polyurethane, oil base, modified oil, water base, alcohol base and much more. Are you bored with the look of your floor? Are you seeking to change the appearance of your room? Our professional team are experts in staining, lime washing, tinting, and timber floor sanding. This is a great way to quickly and cheaply change the aesthetic of any room, and instantly refresh the atmosphere of your home. With over 20 years of experience, Awesome Timber Floors are the best choice to get your timber flooring sanded and sparkling again in no time Awesome timber floors operate with the latest German technology floor sanding equipment floor. A smooth, clean, low dust, floor sanding system. Refer to our floor coating and stain guide and our external timber coating guide or alternatively contact one of our friendly representatives for a free quote. Welcome to Brisbane Carpet & Flooring Wizards The only name you need to know for all your flooring solutions. Brisbane Carpet & Flooring Wizards is a Local, Family Owned and Operated business established in 2008, and we offer some of the most competitive pricing on Carpets, Vinyl and Vinyl Plank Flooring, Laminate Flooring and Bamboo Flooring in Brisbane. We also have Wall and Floor Tiles and fantastic Feature Tiles to compliment. Mission With a vision is to inspire through innovation whilst continuously striving to be the premier go to Polished Concrete Solutions Provider across the diverse Commercial, Industrial and Residential sectors. We aim to be educational and transparent to be the gentle guiding hand in making those hard thought decisions over the course of your selection process. We understand that often these decisions represent significant financial investments on the part of our clients. Therefore, we recognise the importance of providing sound, quality advice with no commitment pressure. Continually educate on how to design and specify mechanical polished, honed and coated concrete floor finishes for new and existing commercial, retail and residential areas of use. At Integra Direct we are here to help you find the right DIY flooring product for your home, at the right price by offering affordable pricing and the right advice. With our Loose Lay Vinyl ranges DIY projects have never been easier and our Best Price Guarantee ensures you the best possible value for money. Whether you intend to carry out the installation yourself or by hiring an experienced installer, Integra Direct can help you sort through the confusion of flooring products and laying methods to save you time and money. We can also ship our products all around Australia so you can shop in the comfort of your own home. Are you looking for the best floor preparation services from the specialists? 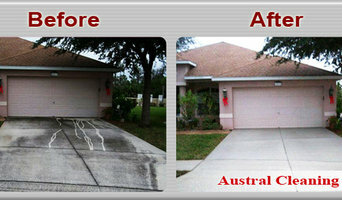 Look no further as Totally Stripped, the floor preparation specialists of Australia is here to help you. We offer various floors, domestic and commercial services. We have a team of professional tradesmen who can complete the most domestic or commercial jobs within a day with minimum disruption to you and your family. We are a fully insured company with 30 years experience. Our team is committed to provide perfection in their all projects. We are very friendly and approachable, so if you have any queries please don’t hesitate to ask, call us now. Experienced flooring retailers will know as much as an installer for what product is right for your Fortitude Valley home. From hardwood floors to vinyl flooring and carpet, there are nearly as many surfaces to walk on as there are home styles to build. A pro can help to ensure that your Fortitude Valley, Queensland home’s floors start off and stay in top form. 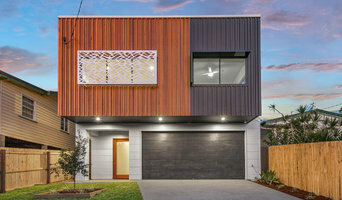 Your carpeting and flooring professional might work closely with Queensland contractors, interior designers and others in the home building and home improvement `industry. Here are some related professionals and vendors to complement the work of carpet suppliers: Interior Designers & Decorators, Design & Construction Firms, Specialty Contractors, Building Project Managers, Home Builders. Hire a Flooring Installation Contractor if your floor troubles are beyond the rug solution. From timber flooring to a laminate flooring installation, a specialist will take care of your sanding, polishing and floor covering needs. Look for a Flooring Installation contractor in Fortitude Valley based on past work and referrals - all available on Houzz. Find a carpeting and flooring professional on Houzz. Narrow your search in the Professionals section of the website to Fortitude Valley, Queensland carpeting and flooring. You can also look through Fortitude Valley, Queensland photos to find examples of carpeting and flooring that you like, then contact the professional who worked on them.